One of the more interestering topics Taleb’s Black Swan got me onto was the idea of Mandelbrot‘s Fractal Equations. Part of the idea is that you take a picture and zoom in on its parts, and the parts look again like the whole. 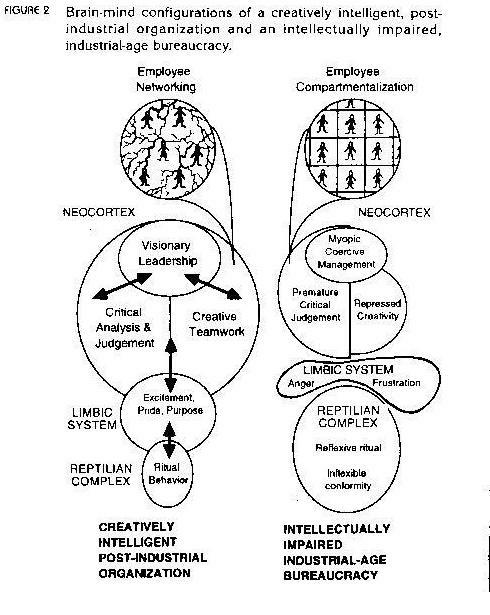 A creative organization on the whole resembles its individual parts. Pretty cool. Previous Post Where is the empiricism?